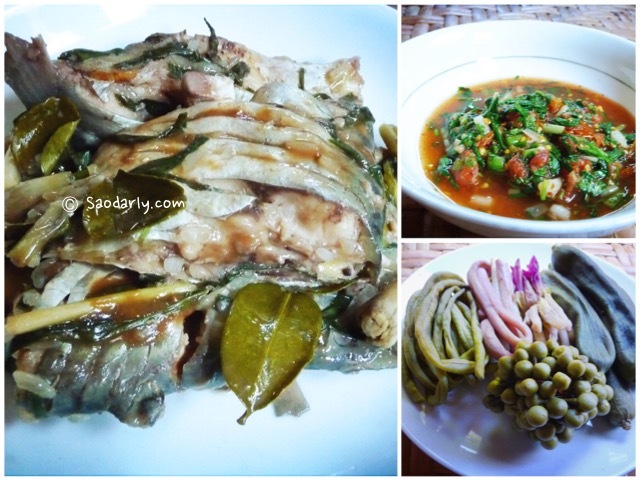 Homemade Steamed Fish (Neung Pa; ໜື້ງປາ) and Spicy Roasted Tomato Chutney (Jeow Maak Len; ແຈ່ວໝາກເລັ່ນ) for lunch in Vientiane, Laos. 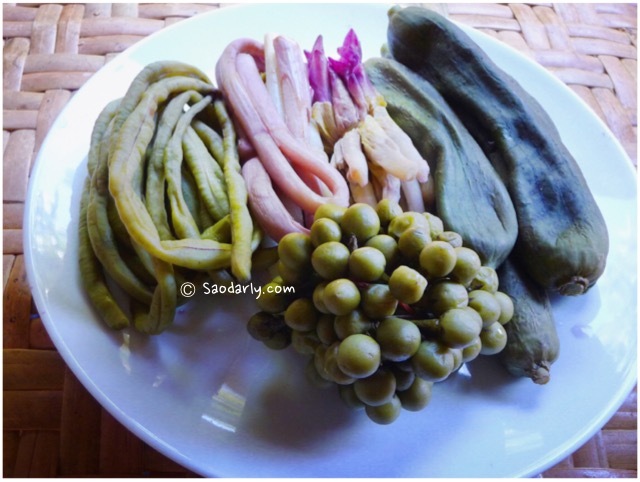 My aunt also steamed string beans, Galangal shoots, Dok Kajeaw (ດອກກະຈຽວ, ดอกกระเจียว), sponge gourd, and green pea aubergines to go with the main dishes. how do you make the tomatoes chutney? 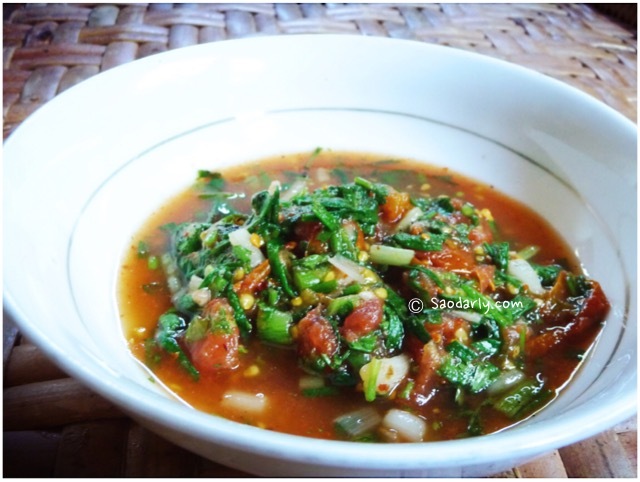 Roast the following ingredients: chili pepper, garlic, shallot, green onion, cherry tomato. Clean off unwanted parts, then smash the ingredients together using mortar and pestle. 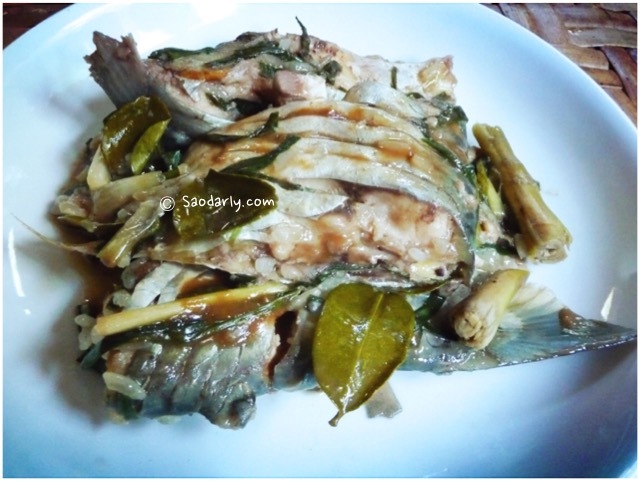 Season with salt and fish sauce. Additionally, you can add a bit of sugar if you like it that way and a bit of lime or lemon juice if you want the sauce to have more sour taste. You can add chopped coriander as a finishing touch and green onion as well. It depends on your taste really. Good luck.